We’re all in favour of the best in healthcare and positive, healthy outcomes. Few, if any, patient referrals would happen without this foundation of excellence. But here’s where wishful thinking smashes into reality. Being good does not guarantee success nor open the gates to a torrent of patient referrals. The incredibly simple reason that patients fail to make referrals is that nobody asks. More specifically, referrals occur when the office has a regular system (and mindset) in place that fosters referrals. To many practitioners, asking for referrals seems either out of place or professionally inappropriate. In fact, there are almost no real barriers, and there’s a strong opportunity for success. Satisfied patients want to return the favour. Human nature is inclined to respond with kindness. People like helping others who have helped them, but they probably don’t know that a referral is an easy and no-cost way for them to act. 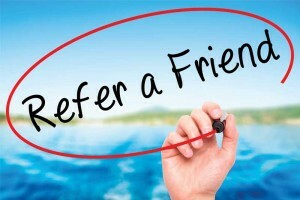 Referrals help the patient’s friends and family. Sure, a new patient benefits the practice, but your service is of greatest value to the individual(s) who has/have been referred. People like doing business with people they like. In every business environment, customers feel a sense of confidence in working with those people they know. And when satisfaction is high, they willingly share this sense of trust with others. Assuming they are asked. It is no different in your practice. Above all, the primary pathway to encouraging and inspiring patient referrals from people you’ve helped is…you’ve got to ask for referrals. Few patients will think of it on their own, but nearly all satisfied patients will respond favourably when asked.